Great news! You can ride away on a new Piaggio BV 350 Sport Touring for just $8,990 – thanks to the new Piaggio BV 350 Savings Promotion. The Piaggio BV 350 matches practical use with brilliant performance and technology. 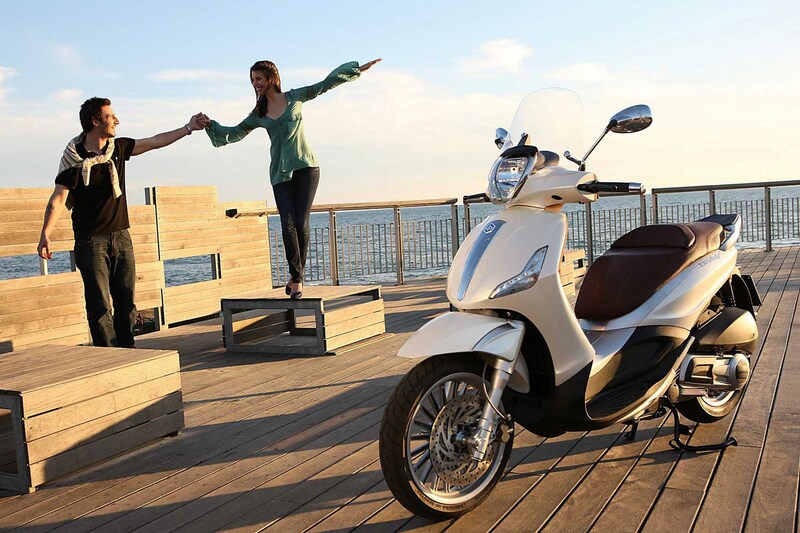 Italian built to exacting standards, the Piaggio BV 350 reveals its true nature on the road. A compact high output engine, traction control and twin ABS braking define the advanced level of specification, add in large under seat storage, a comfortable saddle and tall wheels, and you get a more than average commuter. From the 22nd May 2018 to the 31st July 2018, you can save $$$ on a new Piaggio BV 350 Sport Touring – now just $8,990 Rideaway!